It's been said that you only get one chance to make a first impression. In H.E.R. 's case, you get two. She stunned us as a special guest for Daniel Caesar's Tiny Desk concert earlier this year, in an appearance that showcased her vocal mastery. That earned her an invite to play again, front-and-center. She attacked her second go 'round with more fervor than the first, highlighting her skills as a multi-instrumentalist, maneuvering between acoustic and electric guitars, then the Fender Rhodes. There was a shift in Mac Miller's boisterous demeanor as he started the third of his three-song Tiny Desk set. It's the first time he's performed tracks from his new album, Swimming, in front of an audience. On "2009," he rubbed his chin with clinched eyes, looking like a young man who's beginning to crack the code. Backed by a piano loop and a string quartet, he reflected on his journey's peaks and valleys thus far. Daniel Caesar and his band had a clear vision for their Tiny Desk performance. 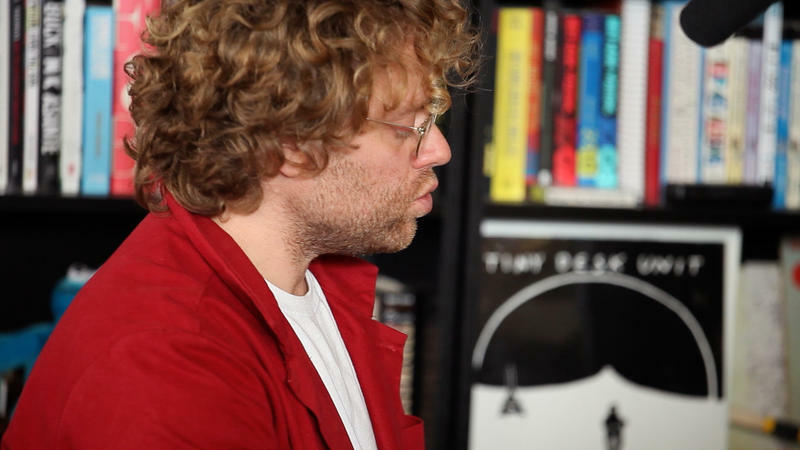 While already confined to a small space, they opted to congregate at the piano, where producer and music director Matthew Burnett sat to create what feels like a fly-on-the-wall moment. We're presented a purity that's nearly impossible to capture on an album. I learned a few things while watching Tom Misch perform at the Tiny Desk that should've been obvious to a longtime fan like me: He produces beats with a live audience in mind. As much as his drums slap, guitar is the foundation for most of his songs and he showcases a burgeoning talent on the instrument throughout his set. Witnessing The Crossrhodes perform at the Tiny Desk instantly snapped me back to their early beginnings, just a few miles away from NPR headquarters. In 2001, on any given Monday night on U Street, music lovers would be treated to a magic show. Bar Nun's open mic night unearthed some of the finest MC's, poets and singers from the area, but they all took a back seat once the Crossrhodes stepped on stage. Week after week, the band passionately performed original material that jumped between society's woes and their own love lives, going from mere contestants to the main attraction. "Classic Man," the 2015 debut single from Nigerian-American MC Jidenna, caught everyone off guard. The song found him teetering between rapping and singing about elegance, politeness and Nat "King" Cole, and the melody felt irresistible. Then there's the look: He rocks thrift-wear tailored to a T. The song eventually went double platinum and earned a Grammy nomination. Jidenna followed it with a few more club bangers before releasing his debut album, The Chief, earlier this year. A tribute to his father, a Nigerian chief, the record is peppered with African rhythms and themes. The pairing of Tuxedo is a natural feel in person, but highly unlikely on paper. Seattle-based producer Jake One has a who's-who client list, from Rick Ross to 21 Savage — while DJ, singer-songwriter and producer Mayer Hawthorne is a renaissance soul man from Ann Arbor, Michigan. They stealthily debuted three tracks on SoundCloud in 2013 with only a black square stamped "Tuxedo" as the cover art, leaving fans wondering where this new funk was coming from. 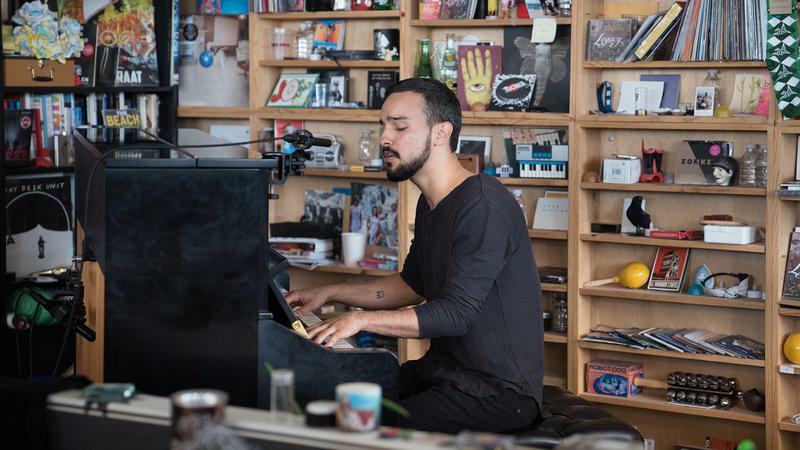 I was, admittedly, thrown for a loop when Gabriel Garzón-Montano told me that he wanted to perform unaccompanied, just him and a piano. The meticulousness of his work is clear on his debut album, Jardin, a three-year creative process in which Gabriel plays most of the instruments, tracking them to two-inch tape, layering its overall sound. Jardin takes its title as an umbrella; fruits, bugs and other plants are the driving metaphors tying together this dense work, which blooms over successive listens. 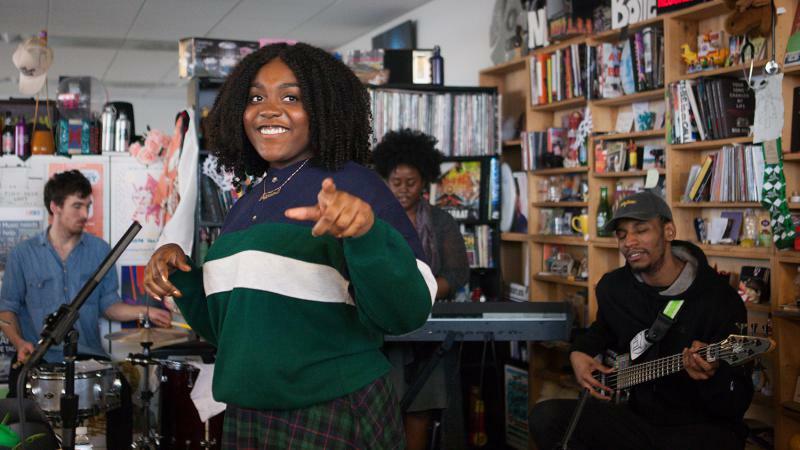 Here's a fun fact about Noname's Tiny Desk Concert: It almost didn't happen. Around the time of their D.C. stop, she (born Fatimah Warner) and her bandmates got their first dose of tour sickness. Thanks to rest, medicine and our mutual excitement, she made her way into the NPR offices the following day. If there ever was a 'Noname' way of doing things, this is definitely her signature method. It's in the way she's able to muster a smile while performing a heartbreaking tale of abortion. It's those sometimes bleak, melancholy lyrics over brilliant, colorful production. We all love a good redemption story: We're front and center to watch our heroes get knocked down, and then we cheer for them to triumphantly rebound. What we're witnessing with Shelly Massenburg-Smith — a.k.a. D.R.A.M. — is the culmination of a story marked by resilience and stubborn strength. Lots of us try to be cool, but the trick has always been in the subtleties; they're what allow us to walk that thin line between cool and corny. Enter Ro James. Anthony Hamilton's soul sound was refined in the churches of Charlotte, N.C. Watching the Grammy winner perform, you get the hunch that it's harder for him to keep the soul inside than it is to actually unleash it. What he and his backup singers, The Hamiltones, do would be better classified as a musical purge, with a stage show that can double as couples therapy and church service. Their warm harmonies have the ability to shrink theaters and stadiums, so we knew this intimate setting was perfect for them. For more than 10 years, fans have been drawn to Dutch singer-songwriter Benny Sings' ability to layer R&B, jazz and pop over hip-hop foundations. 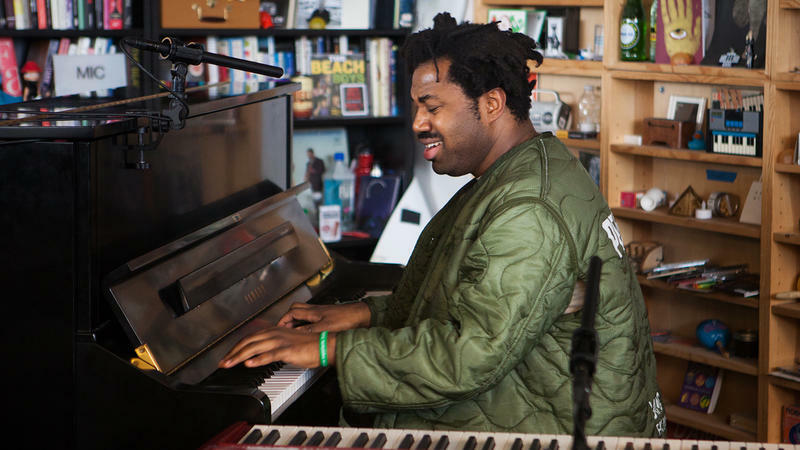 While it was only a matter of time before he'd play behind the Tiny Desk, we never expected the performance to be his very first in the U.S. This is also where he performed with background vocalist Jennah Bell for the first time. 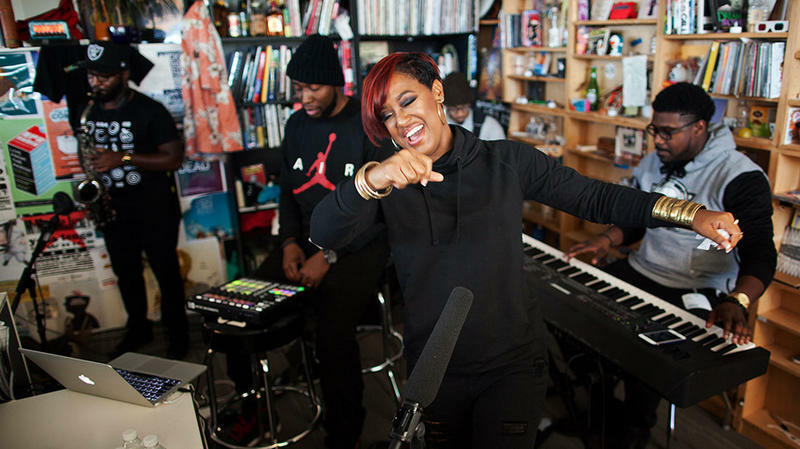 Rapsody has waited patiently for her time to shine. Through seven solo projects, she's grown as an MC, crafting her own style while developing her thesis in the rap game. True breakthroughs are commonly marked by a pivotal moment, and hers came when she provided the sole rap guest verse on the most talked-about album of 2015, Kendrick Lamar's To Pimp A Butterfly.